As part of the MAE Distinguished Speaker series, Pat Bajari, the Chief Economist of Amazon, gave a talk on using big data in practice. His talk focused on the methodology of how to continuous refine algorithms to make steady improvements, by developing new models, training them on data and then testing them against competitors. 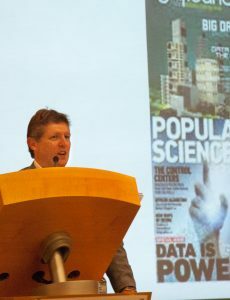 He also emphasized the importance of interdisciplinary interaction: for example, computer scientists can turn photos of clothes into data points that economists can use to predict demand.